Pollinator Link’s Mike Fox says pollinator network success has a lot to do with “influencing”. “Bees and butterflies are an easy sell,” Mike says. However, he says that making our gardens more attractive to bees, butterflies and birds will have a positive flow-on effect for a diverse selection of wildlife, not just the popular ones. 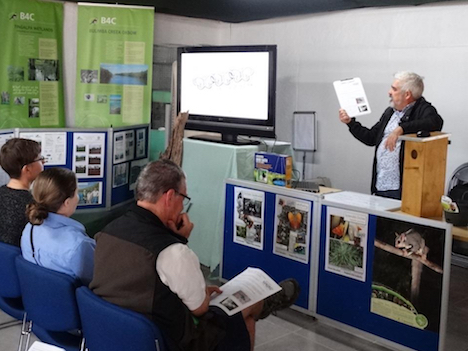 Mike was guest speaker at our Sustainability Centre Open Day on Saturday. 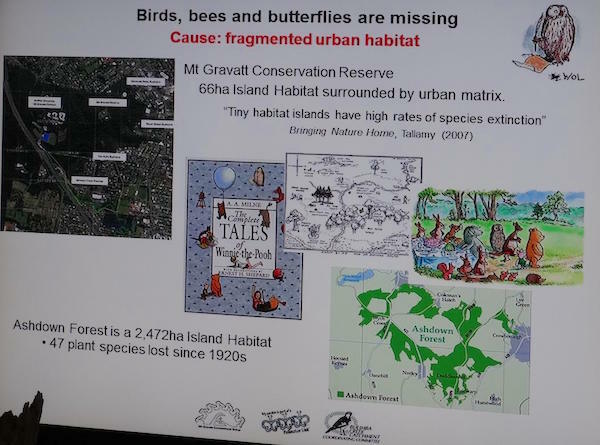 The concept of Pollinator Link is to use backyards, parks, school grounds and even unit block balconies to link patches of bushland habitat fragments by our urban environment. 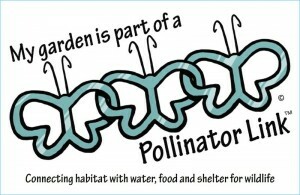 “It’s [Pollinator Link] about preparing the ground for other people to come along later,” Mike says. He referred to the big metal fences that many people install. These are often a barrier to both wildlife as well as neighbours. Mike highlighted the Pollinator Link garden at Mount Gravatt State High School. This project has been driven by Laurie Deacon, President of Mount Gravatt Environment Group (in the Bulimba Creek Catchment). He said Laurie points out that it’s not just about creating wildlife links but creating valuable on-going community links. “It’s about getting back to some of the neighbourhood relationships,” Mike says. He also discussed structures like rain gardens and and other ways to encourage pollinators to your property. The potential of neighbourhood gardens is greatly untapped. “Getting people to bushcare can be hard but getting them to backyards is easier,” Mike says. Several Open Day guests signed up to Pollinator Link immediately after the presentation. The welcome pack includes a sign you can put on your fence or letterbox as a talking point with your neighbours. Pollinator Link has received support from both Brisbane City Council and the Bulimba Creek Catchment Environment Fund. 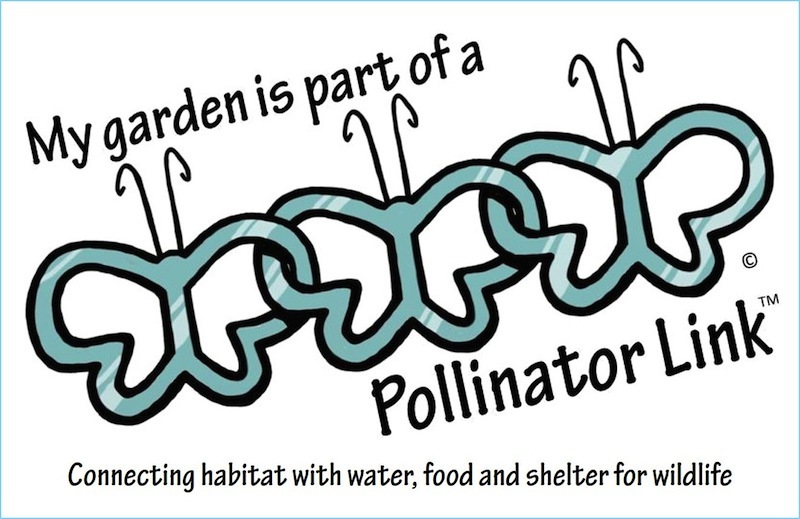 If you’re wanting to sign-up to Pollinator Link, you can get the PDF form online or pick up some forms from our office. There will also be a form that can be completed online available soon. The below video is a short snippet from the event (Mike is holding the Pollinator Link fence/letterbox sign). Mike Fox, pollination, Pollinator Link.